The ACA NEOGEO series by Hamster Co. is now up to around 30 games released for the Nintendo Switch since March 3rd, 2017. That’s a pretty consistent release schedule and has been a nice way to bolster the Switch lineup in the absence of an official Virtual Console service. If you read my Samurai Shodown IV review or played any of the other ACA NEOGEO games, you’ll know that each game has four main options when you load the game: Japanese Version, English Version, Hi Score Mode, and Caravan Mode. All of these modes are available in Aero Fighters 2 as well as 2-player co-op. 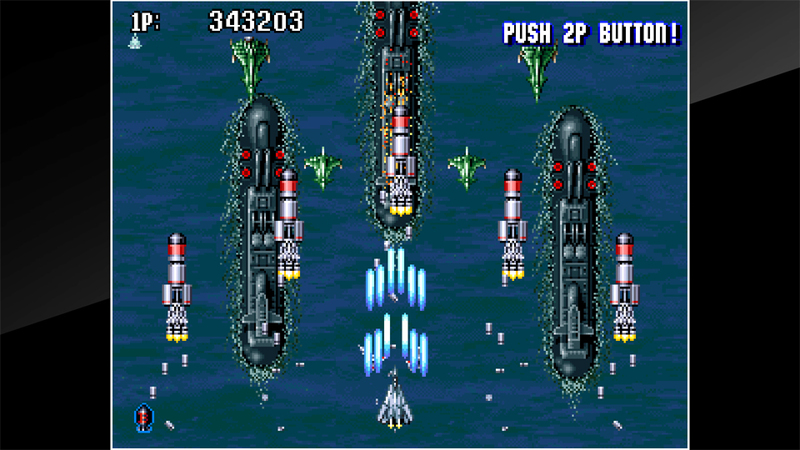 Most of the mileage from Neo Geo games comes from the multiplayer and Aero Fighters 2 is no different. The game can be played solo but it’s much more enjoyable with a friend. 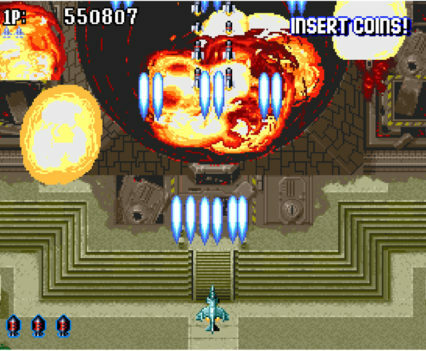 The gameplay in Aero Fighters 2 is a vertical-scrolling shoot ‘em up game similar to old-school classics like Xevious and 1942. 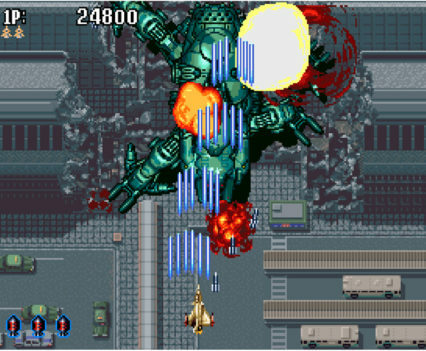 Each level is based on real-world locations from the United States to Japan and France. The enemy variety is decent and the bosses are varied but the gameplay is so similar to older games in its genre, it really doesn’t push the genre forward. There’s a basic shoot button and a special move button (each fighter jet has a unique special move). 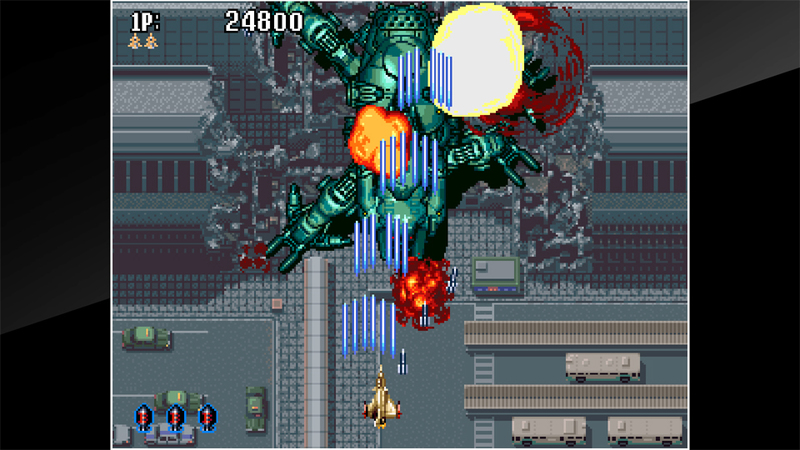 Players can collect power-ups throughout each level to upgrade their standard firepower and special move. That’s really the extent of the gameplay. 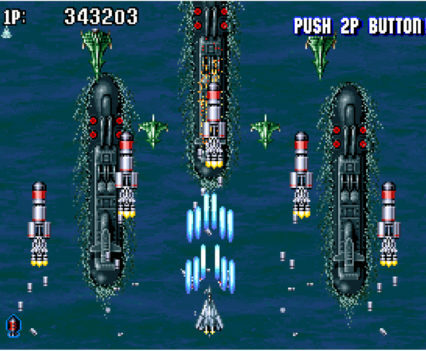 The only thing going for Aero Fighters 2 are the visuals and animation. At the time, this would’ve been a state-of-the-art game. The explosions, boss animations, and the number of enemies on screen at a given time is pretty amazing. There is the occasional slow-down here and there but most of the time the game is buttery smooth. I would chalk those slow-downs up to accurately emulating the limitations of the Neo Geo system and not the limitations of the Switch hardware. Most of the slow-downs I noticed were in 2-player mode. 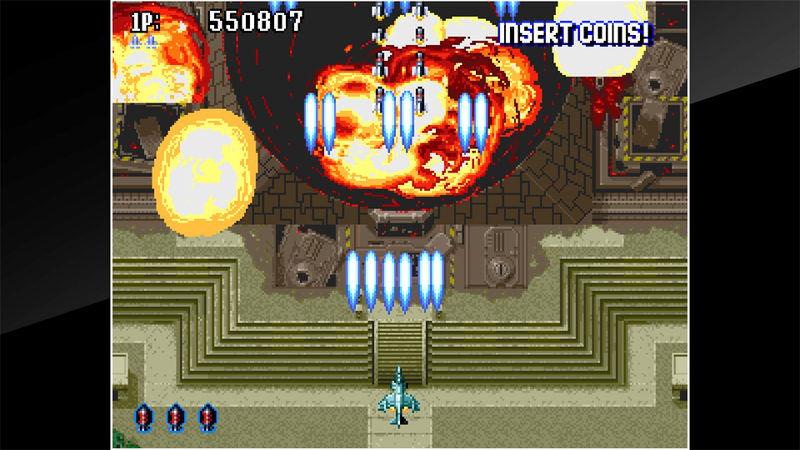 Other than the visuals, the only real incentive to play Aero Fighters 2 is for the co-op. Even then the game can be completed in a 30 minute sitting. Once you beat the game, it simply starts over with a slighter increase in difficulty. And difficulty is relative as the player can give themselves credits at any time effectively making your playtime limitless. This might sound great but, to me, it makes the replayability of the game rather dull. With such a short campaign and little incentive for replayability, I can’t really recommend Aero Fighters 2 and that’s coming from someone that enjoys scrolling shoot ‘em ups. If you’ve got $8 to spend, I would recommend spending it on another Neo Geo game or maybe saving up for another Switch title.